Thursday the 22nd March, marked the launch of the new Sherlock Holmes Tartan. We were delighted with the coverage it received in the press across the UK, some of which you can see from the links below. 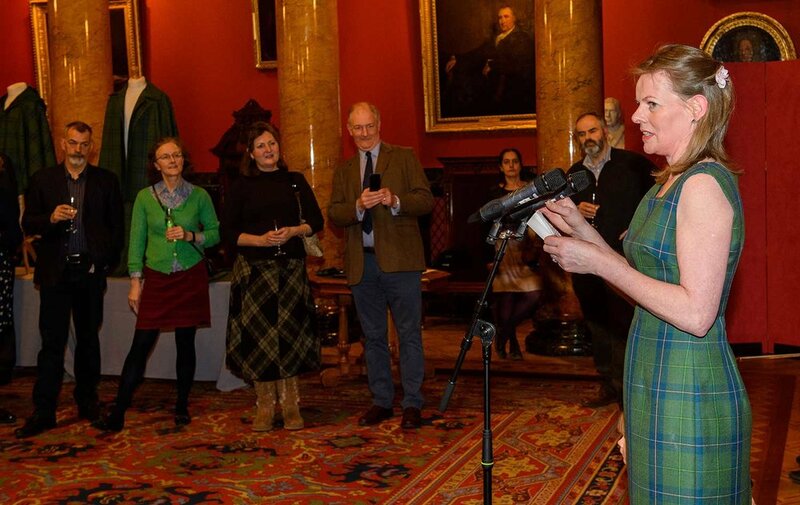 The launch party, held in the evening, was also a resounding success, being held, rather appropriately, at the Physicians Hall in Edinburgh, a stones throw from where Sir Arthur Conan Doyle was born which was attended by friends and family, as well as a number of businesses that supported us in getting the product to market. We were particularly delighted that living relatives of Conan Doyle’s made the trip for the launch all the way from the south of England.